Changes to safety beliefs and values (at all levels of management and workers). At its most basic level this is the genuine personal belief that all accidents are preventable. Strong safety leadership from both forest owners/managers and contractor principals. Enhanced training for workers. Resurrecting a modern version of the NZ Forest Service Woodsman School would be a valuable contribution the government could make. Greater R&D into steepland harvesting equipment, and uptake of existing mechanisation options by contractors. 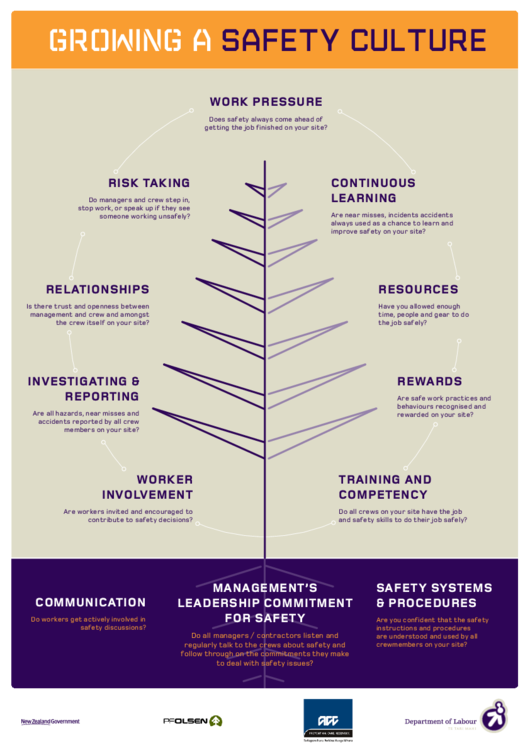 For our part, PF Olsen will be pursuing initiatives around those elements of the Safety Culture Tree that are able to make the biggest short term difference, and set the foundation for a journey towards Zero Harm. I'm aware that many other forest owners/managers are equally committed to doing their bit to get the safety culture improved and accident rate down.